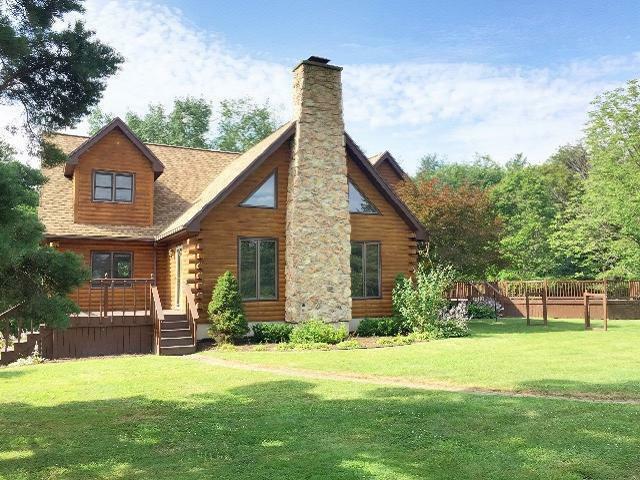 Spacious Log Home situated on 4 acres! Master bedroom suite on the first floor with updated bathroom and walk-in closet, 2 bedrooms and bath on second floor with open loft overlooking living room with beautiful stone, wood burning fireplace. Open & bright layout! Large dining room with French door to side deck. First floor laundry! Finished basement complete with bathroom. Beautifully landscaped yard, circular, black top driveway, attached 2-car garage, plus, 24' X 24' pole barn! Directions To Property: South On Route 60, Left On Straight Road, Right On Miller, House On Right.